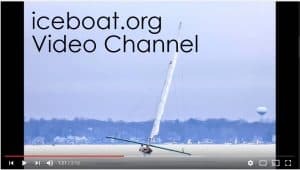 George Gerhardt shot some leeward mark rounding videos at the recent Wisconsin Stern Steerers Association regatta. This is the compilation with added bonus footage of Rosemary from the 1992 Northwest regatta. I needed another clip to fill out the soundtrack and it dropped in the timeline perfectly. Andy Gratton is sailing Rosemary in both videos. Read his story about the day in 1992 when Rosemary tipped over here.